Here is a summary of twelve trends or signs of the end times. We can see that events are coming together for things to wrap up soon. 1: Earthquakes: "And there will be great earthquakes in various places ..." (Luke 21:11). There are 12,000 to 14,000 earthquakes per year or about 35 per day. More and more often we see earthquakes of disastrous magnitudes that cause great loss of life and misery to affected people. See list of major earthquakes since 2001. Many people label these as "Acts of God" without realizing that it is God's character to seek to protect His children from Satan, who is the destroyer, and from the forces of nature. Earthquakes are one of the best known of the signs of the end times. 2. Environmental Crisis: In the final events of earth's history, a moment comes when "... them that destroy the earth" (Rev 11:18) are themselves destroyed. This implies that there will be people held responsible for their part in destroying the earth. While we have to live here and use some of its resources we should be doing that responsibly. However, there are people who are doing things (and knowing better) that are destroying the earth for their own financial gain or other purposes. 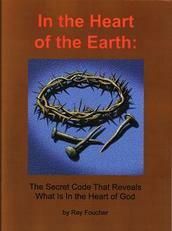 We are, even now, experiencing environmental degradation from these actions as one of the signs of the end times. 3. Wars: "You will hear of wars and rumors of wars ... For nation will rise against nation, and kingdom against kingdom." (Matt 24:6-7). In the last 100 years, there has been World War I, World War II, the Korean War, the Vietnamese War, the Arab-Israeli Wars, the war in Bosnia, the Gulf War, Kosovo, Ireland, wars in the Congo, Rwanda, Somalia and the Sudan and other places in Africa, wars in Iraq, Iran, Afghanistan etc. Surely this is one of the prominent signs of the end times "When they say, 'Peace and safety!' then sudden destruction comes upon them ... And they shall not escape." (1 Thess 5:3) This verse suggests that the only thing that will end war in the world will be the end of the world. 4. Violence: "As it was in the days of Noah, so shall it be before the coming of the Son of Man" (Matt 24:37). One of the major aspects of what was it like in Noah's day was that: "The earth also was corrupt before God, and the earth was filled with violence" (Gen 6:11). Evidently, violence was everywhere before the flood, as it is today. Surely, this is a result, in part of people including violence in their entertainment in TV, the movies etc. By beholding we are changed. 5. Pleasure-seeking "But know this, that in the last days perilous times will come: For men will be lovers of themselves, lovers of money, boasters, proud, blasphemers, disobedient to parents, unthankful, unholy, unloving, unforgiving, slanderers, without self-control, brutal, despisers of good, traitors, headstrong, haughty, lovers of pleasure rather than lovers of God, having a form of godliness but denying its power ..." (2 Tim 3:1-5) .As we look at society we see this fulfilled in many areas that we are, perhaps, all too familiar with.For many people, this is one of the signs of the end times that they are so involved in that they can't discern any of the others. 6. Financial woes: "Your gold and silver is cankered; and the rust of them shall be a witness against you, and shall eat your flesh as it were fire. Ye have heaped treasure together for the last days." (Jam 5:3) We have seen more and more problems in the economy and these problems are the result of the greed of men who are looking out for no one other than themselves. Expect more and more troubles in the markets and wild fluctuations in reaction to world events. 7. Disease and Stress "... distress of nations, with perplexity ... men's hearts failing them for fear ..." (Luke 21:25-6). People are stressed-out everywhere, are much to busy and are not taking responsibility for their own health. Heart disease (the number one cause of death) and other chronic disease are rampant. Pain (see my other website: www.natural-pain-relief-guide.com and suffering in so many forms are everywhere. Mostly, these problems are a result of our own poor choices. If Satan can keep us so Busy Under Satan's Yoke that we can't see the signs of the end times, then he has got us. 8. Medicine/pharmacy: "... for by thy (speaking of Babylon) sorceries were all nations deceived." (Rev 18:23). The word "sorceries" is translated from the Greek work "pharmakeia" from which we get the word English word "pharmacy." There are major drug companies (with government involvement) who are promoting drugs as the only cure of disease, even fighting against God-given, natural, simple remedies and making enormous sums of money doing it. This has the effect of controlling people and making them dependent on "the system." This is perhaps one of the least known of the signs of the end times but it is an important tactic of the enemy as he seeks to so weaken our physical and mental powers that our will to resist will be defeated. 9. Knowledge: "But you, O Daniel, shut up the words and seal the book, even to the time of the end: many shall run to and fro, and knowledge shall be increased" (Dan 12:4). Knowledge is now said to double every few years. As we look at the world of technology and the amount of information that is available to anyone via the internet, we can see that this surely is true. The question is what are we doing with it and are we bothering with knowledge in the most important areas that will influence our eternal destiny? Along with all the other increased knowledge, is there an increase of knowledge of the signs of the end times? 10. False Religious Teaching: "For the time will come when they will not endure sound doctrine; but after their own lusts shall they heap to themselves teachers, having itching ears; And they shall turn away their ears from the truth, and shall be turned unto fables." (2Tim 4:3-4) Revelation predicts a world-wide religious system called "Babylon," which means "confusion." Babylon, near the end, falls "... because she made all nations drink of the wine (false doctrine) of the wrath of her fornication" (Rev 14:8). Also, false Christs will abound: "Many shall come in My name, saying, I am Christ; and shall deceive many." (Matt 24:5). It makes sense that some of these religious teacher's would also teach false signs of the end times. 11. The Mark of the Beast: "And he causeth all, both small and great, rich and poor, free and bond, to receive a mark in their right hand, or in their foreheads: And that no man might buy or sell, save he that had the mark, or the name of the beast, or the number of his name." (Rev 13:16-7). We can see the beginning of this now as the whole world is being amalgamated into one system of finances, there is more talk of one-world government, a new world order etc. The world is shrinking, people are expected more and more to conform to the norm, to go along with the system. Fashion and entertainment and so many areas of culture dictate what is expected. We are being groomed to take the Mark of the Beast in opposition to the Seal of God. 12. Preaching of the Good News: "And this gospel shall be preached in all the world as a witness to all nations, and then shall the end come" (Matt 24:14). With all of our modern means of communication and, lately, the internet, availability of the message of salvation and the truth about God's character is rapidly spreading across planet Earth. The question is: will people leave the pleasures and business of their lives long enough to pay attention to it? So there are twelve signs of the end times with a little detail of each. Links will be added as pages are built for each of these signs. Rather than being scary, signs of the end times should encourage us.